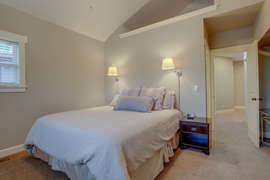 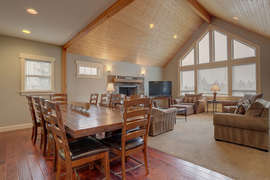 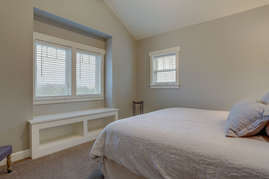 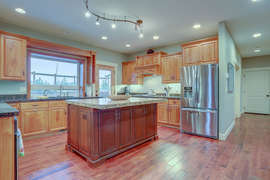 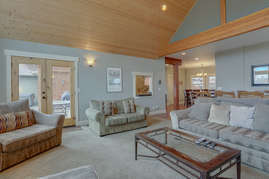 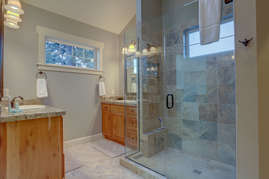 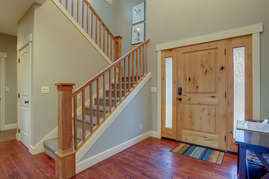 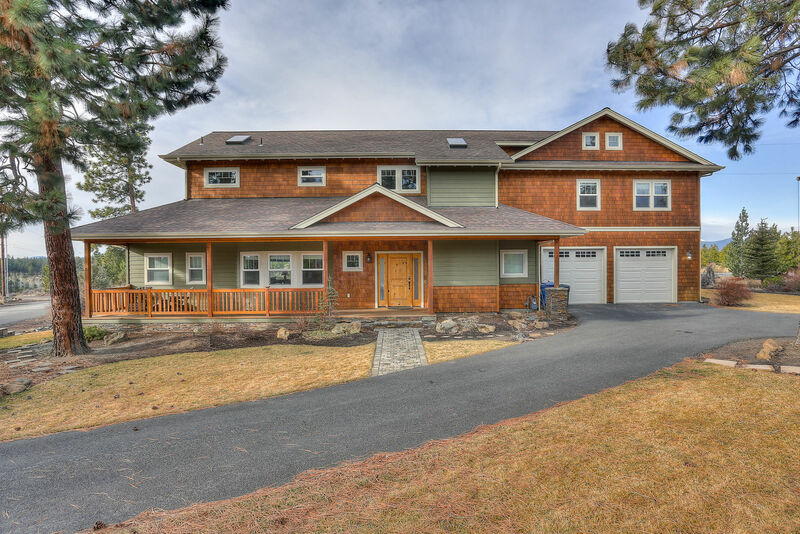 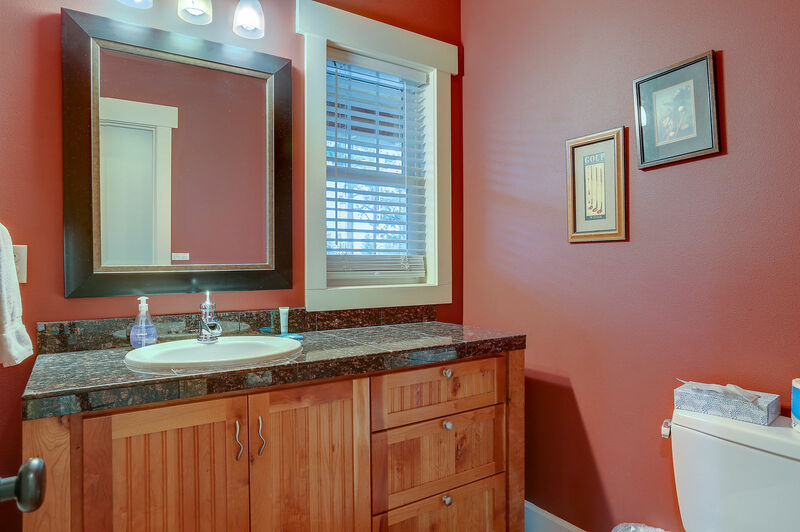 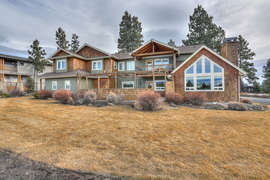 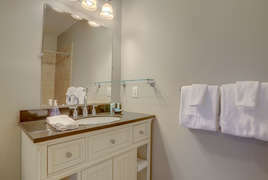 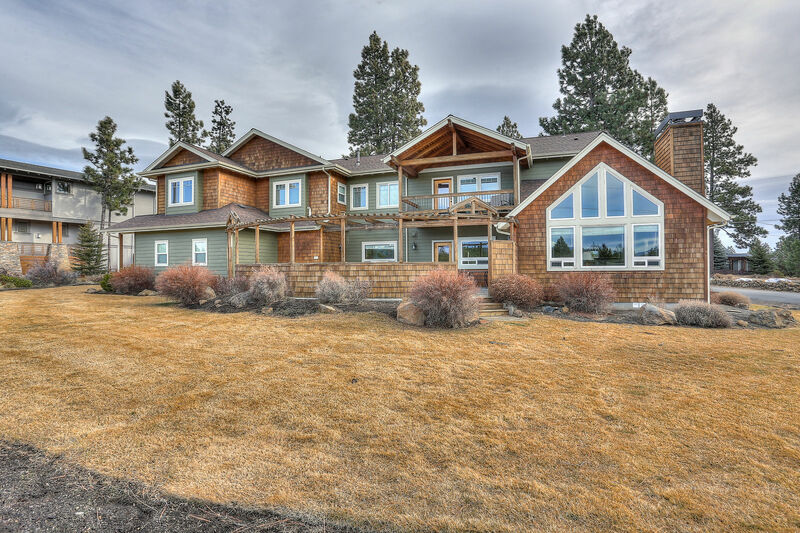 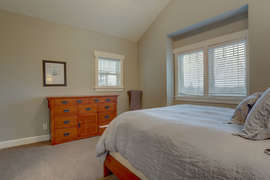 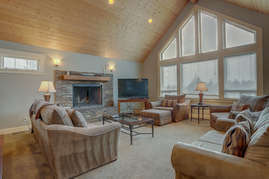 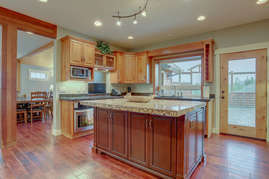 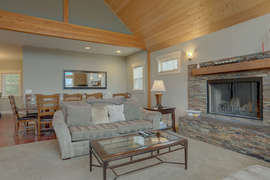 Relax in luxury with sweeping views of the Cascades in one of the best vacation rentals in Bend, Oregon - Five Peaks. 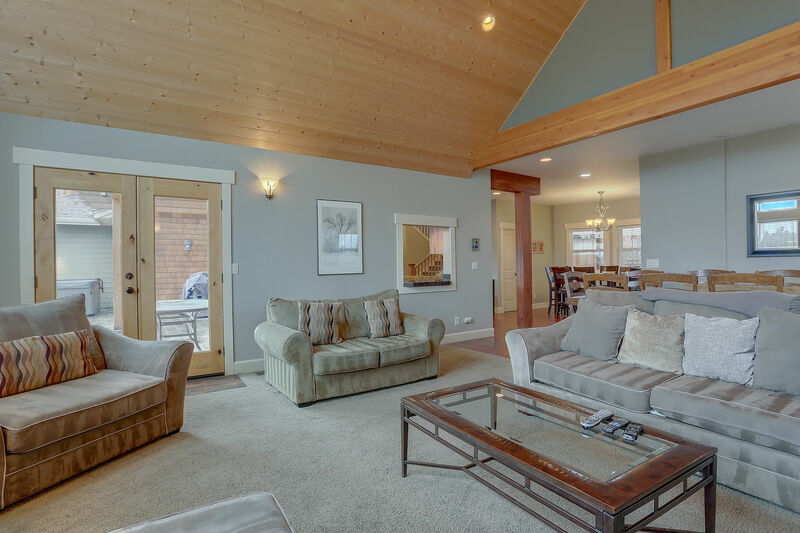 This five-bedroom custom home is one of our largest vacation homes, and is ideal for family reunions or a getaway for several couples. 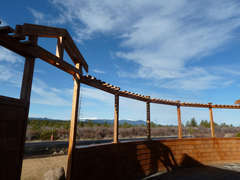 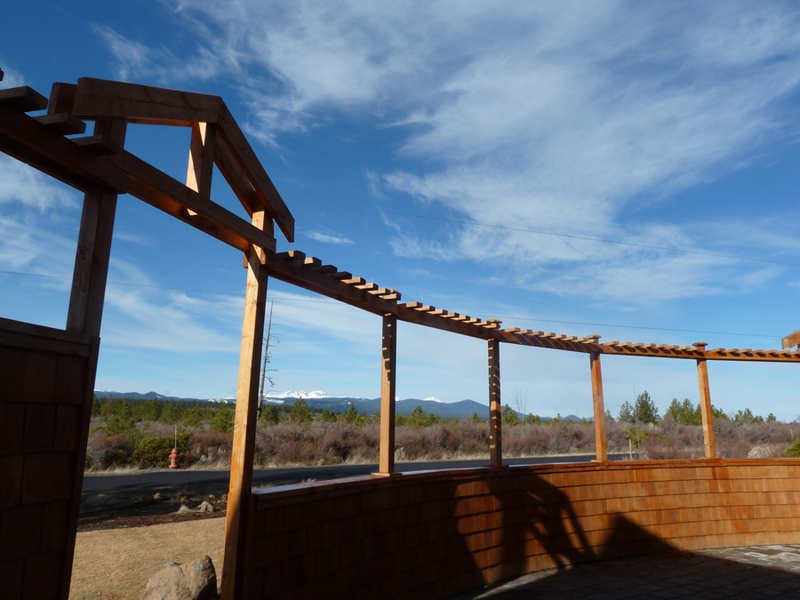 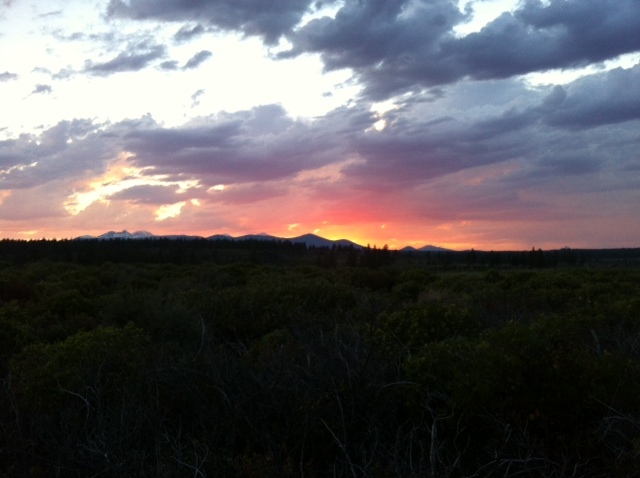 Most of the rooms face the Cascade Mountains, and offer views of the Three Sisters, Broken Top and Mt. Bachelor. 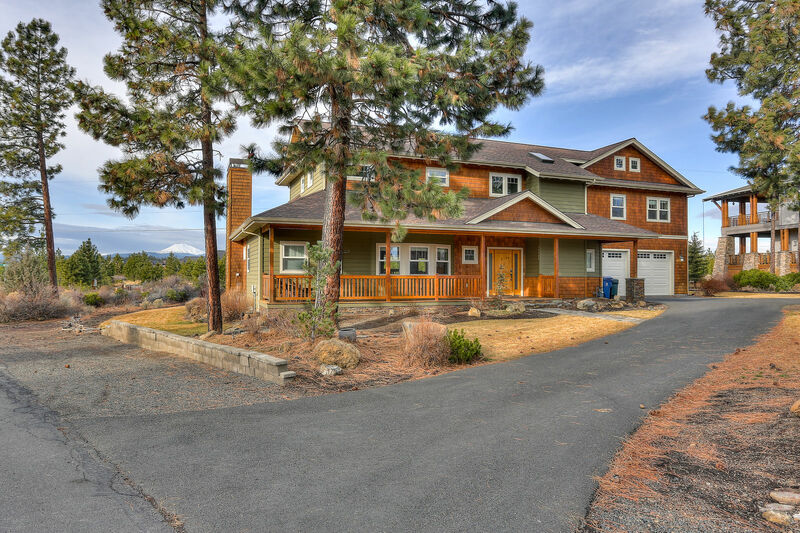 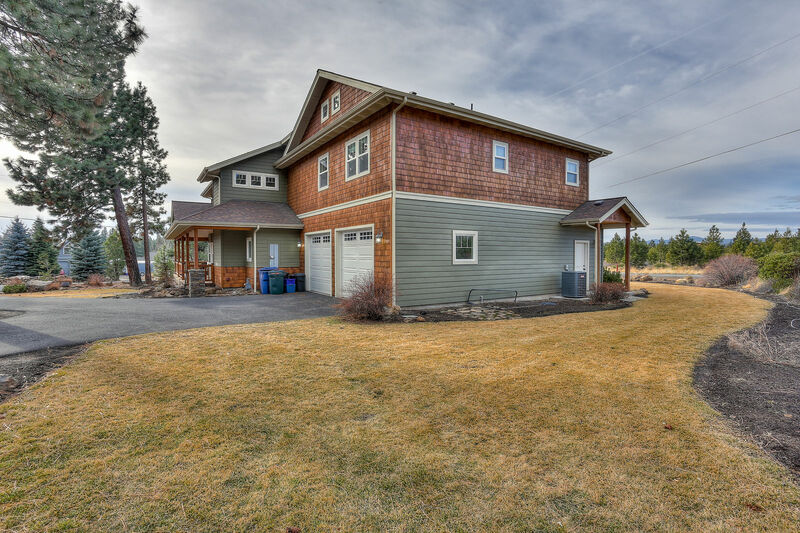 Located on the outside perimeter of a quiet neighborhood, Five Peaks borders the Deschutes National Forest public land, putting you just steps away from world-class hiking and mountain biking. Featuring a dramatic, vaulted ceiling and large windows that frame the stunning view, the living room in Five Peaks features a large, wood-burning fireplace. The dining room, which seats 12, is open to the living room. 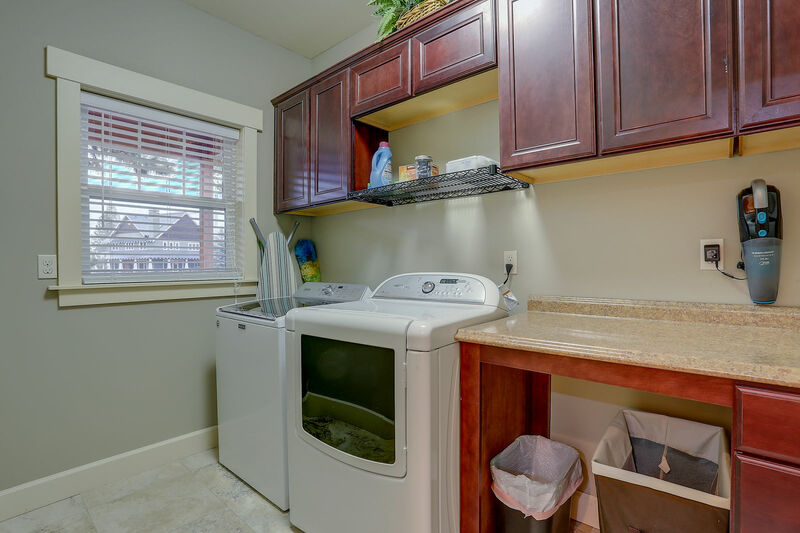 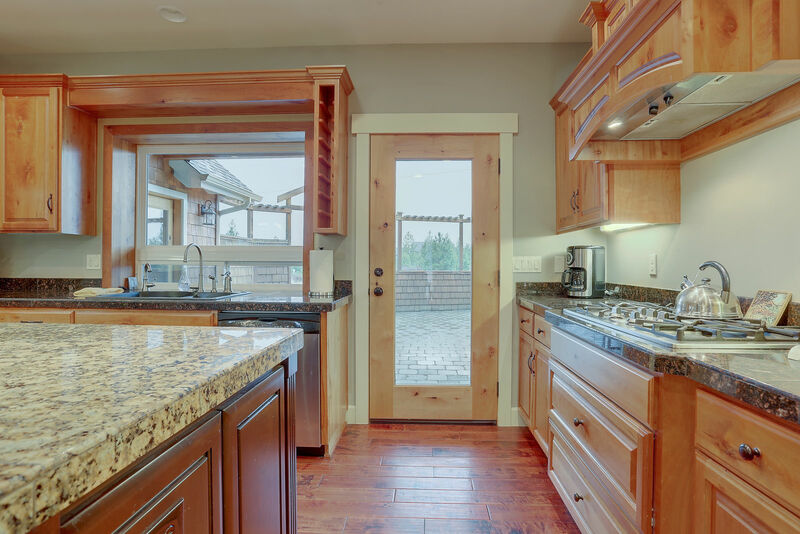 The gourmet kitchen has stainless appliances, including a six-burner gas range and a large Stainless Steel refrigerator, as well as a flat-screen television and access to a beautiful patio. 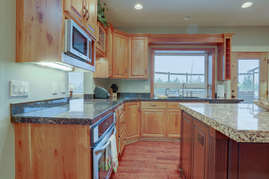 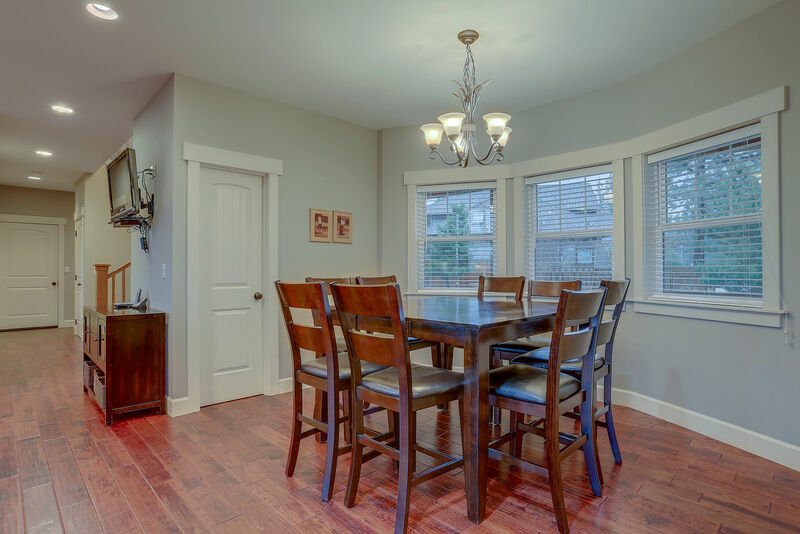 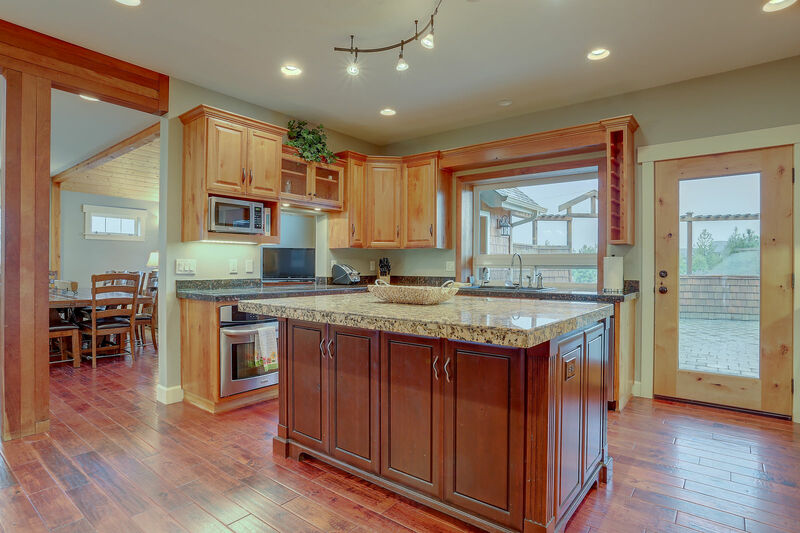 The kitchen also has seating for two at the large island and an adjoining breakfast nook with seating for six. 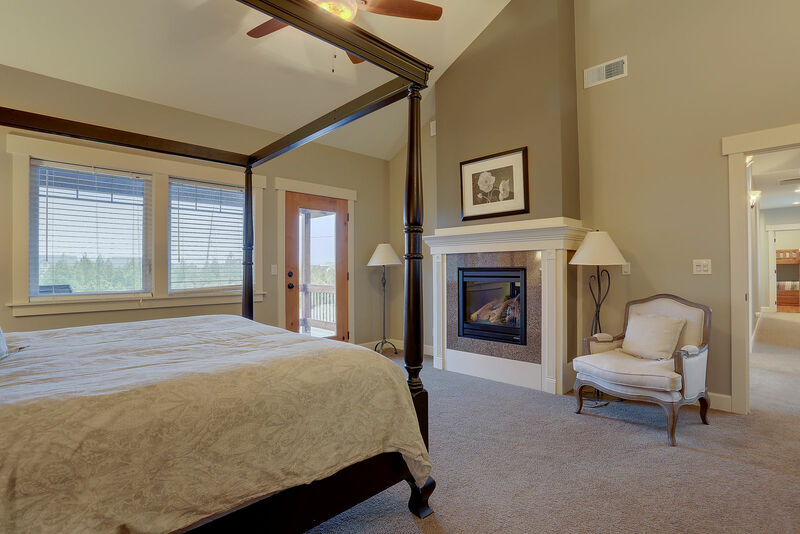 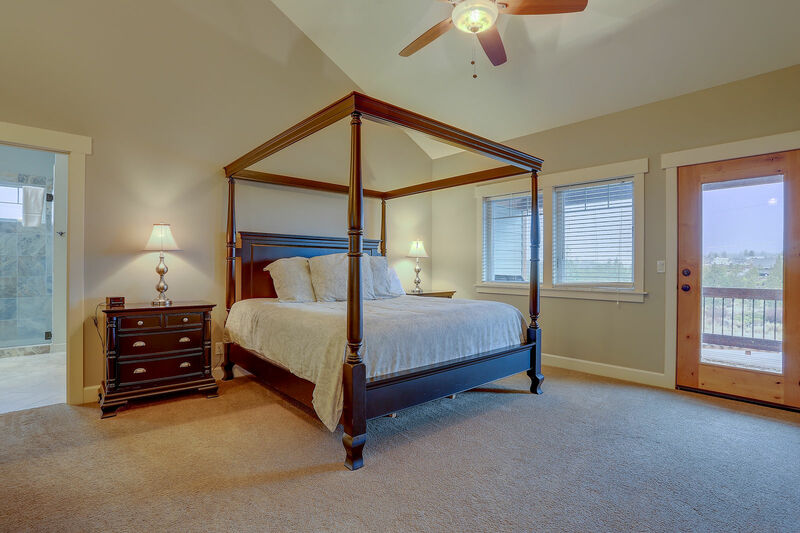 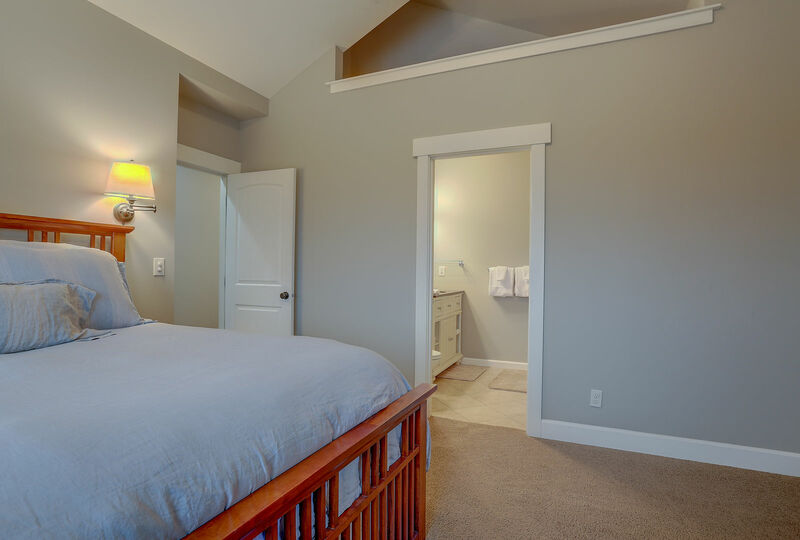 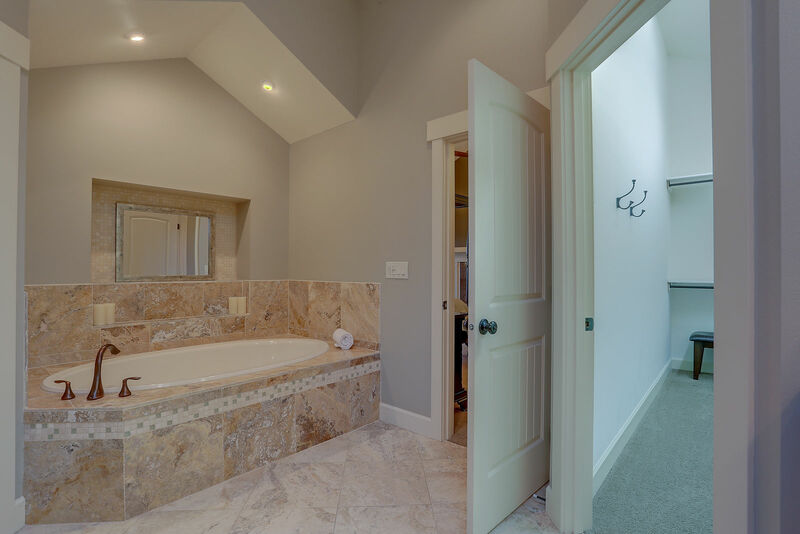 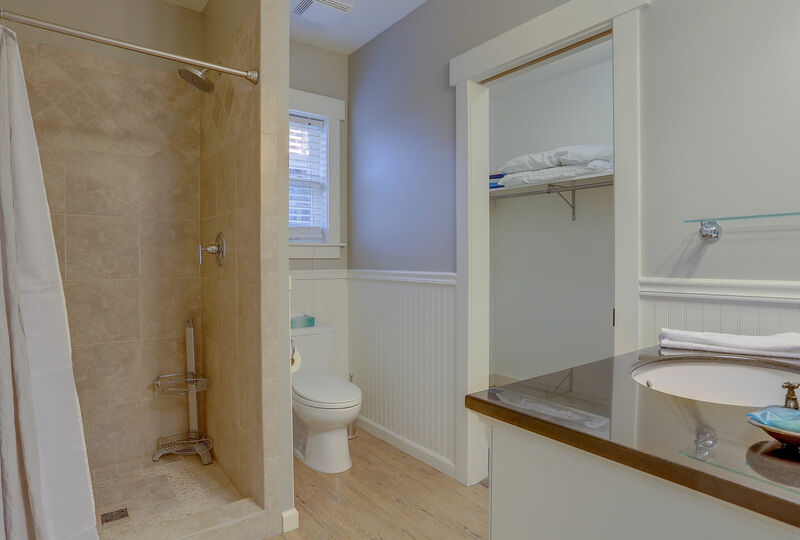 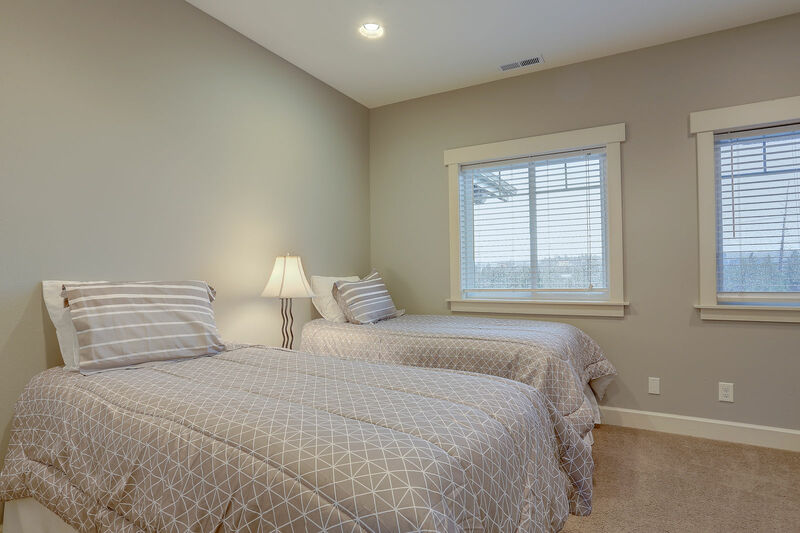 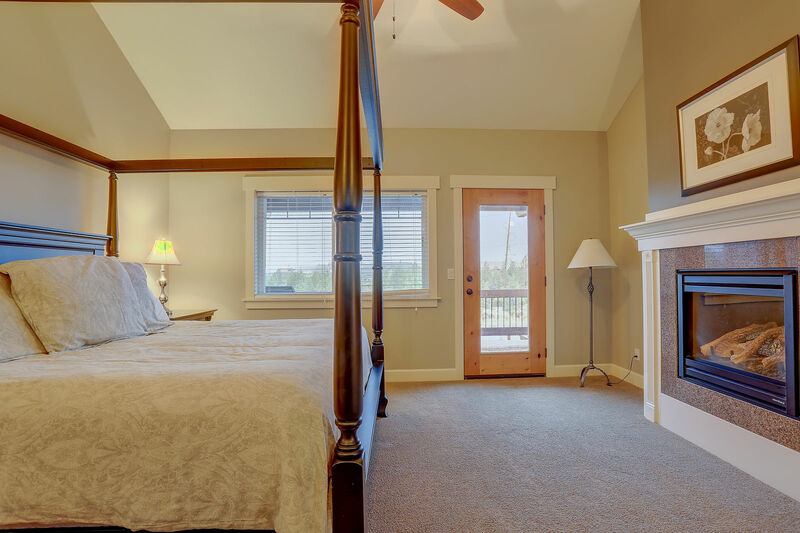 All bedrooms are upstairs, including the Super King Suite, which has its own gas fireplace, private deck and a luxurious bath with soaking tub, glass shower and large walk-in closet. 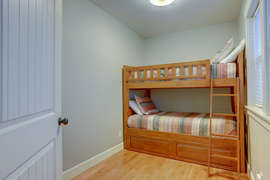 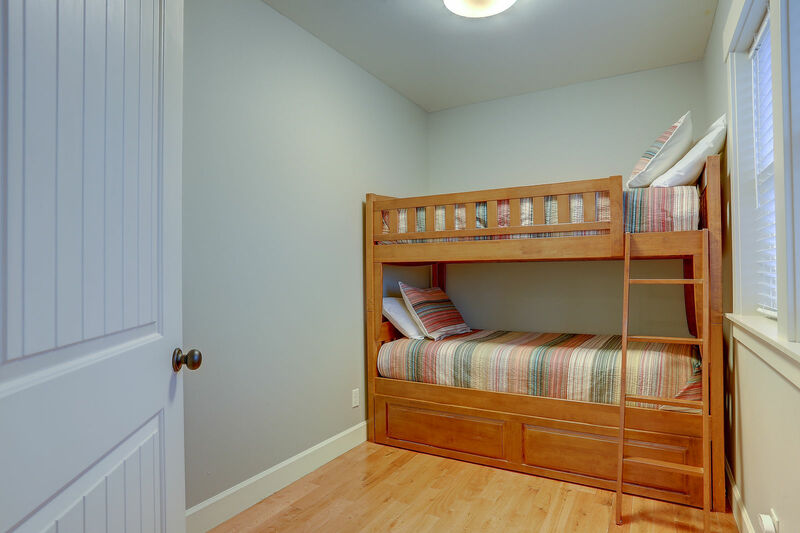 The other four bedrooms include 2 Queen Suites, a two-bed Twin room and a room with bunk beds and an additional twin trundle. 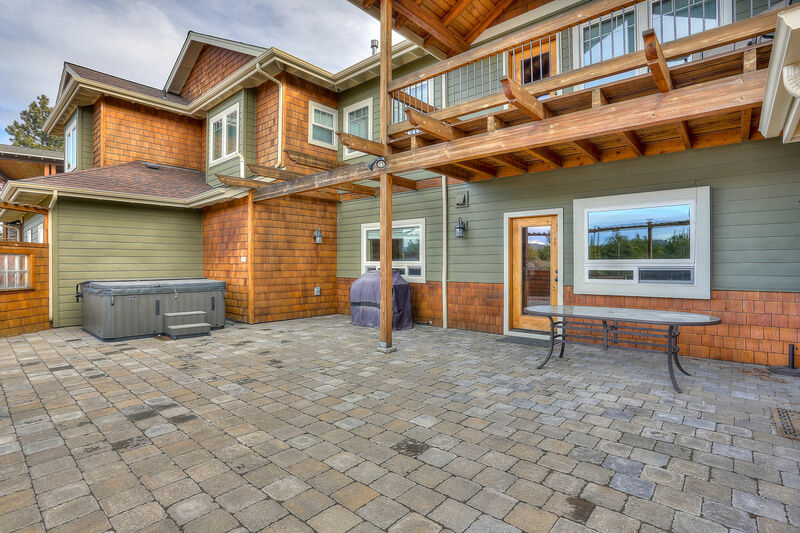 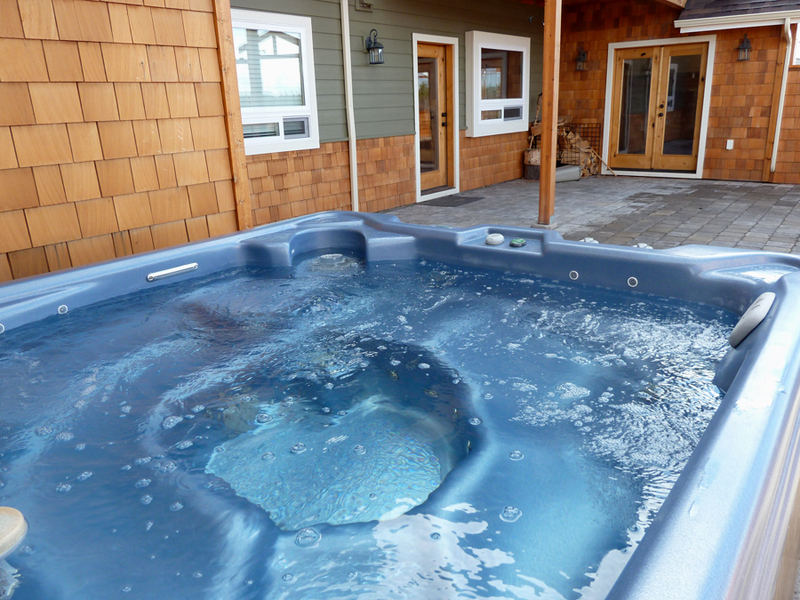 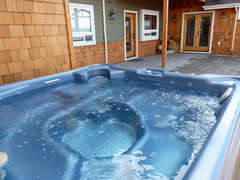 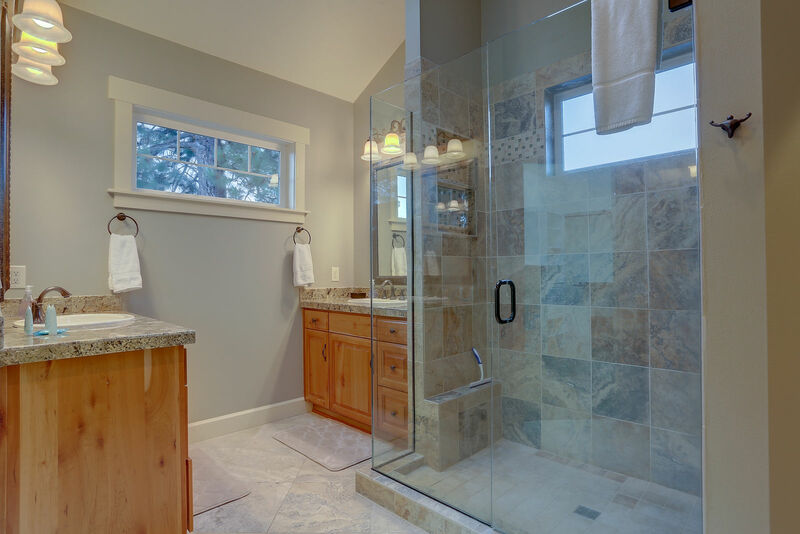 Enjoy a nice soak in the hot tub, which is surrounded by views of the mountains on the large, fenced stone deck, after a day of playing outside. 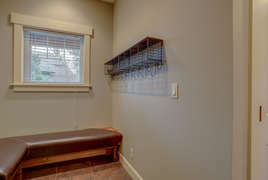 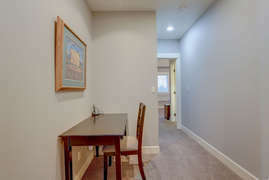 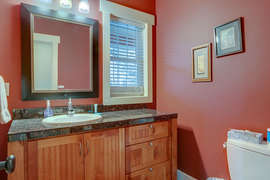 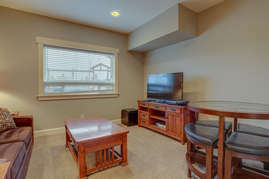 Other amenities include a cozy family room with Full Sofa sleeper,a large, flat-screen television, cable TV, high-speed Internet, mud room for changing out of gear, upstairs hall desk perfect for working at the computer and a two-car garage. The luxury and incredible views of Five Peaks will make your vacation truly memorable. This extraordinary home, which is one our most convenient to the Mt. 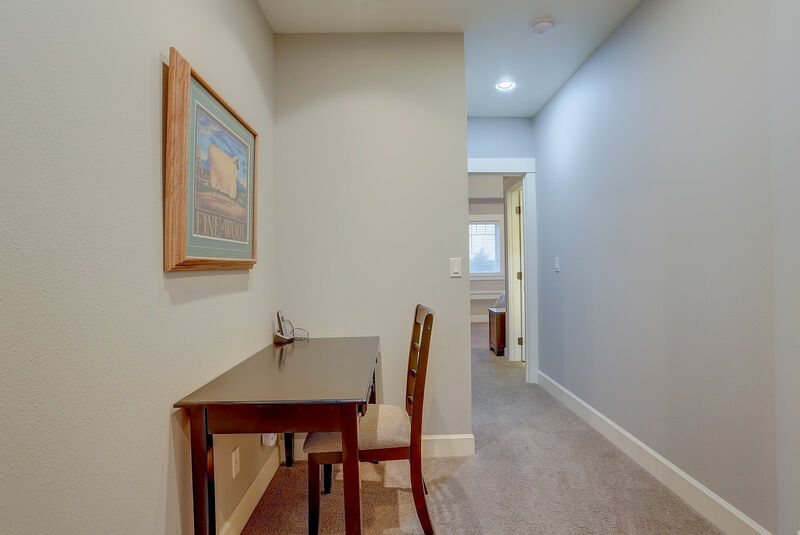 Bachelor Ski Resort, books quickly during peak times, so plan ahead and claim Five Peaks for your unforgettable Bend getaway by calling us today.